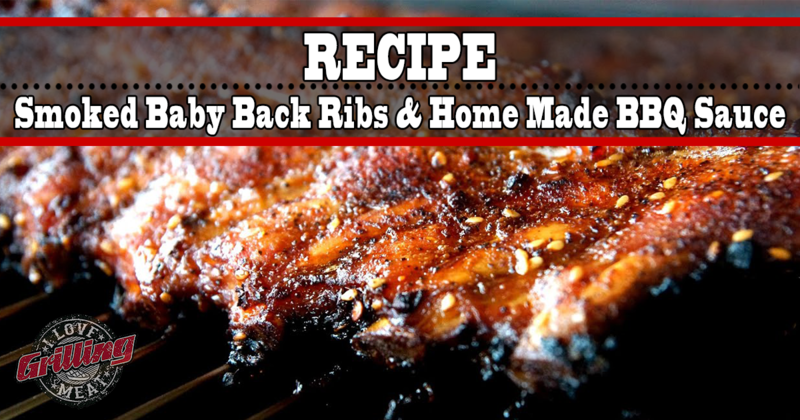 Get in on this smoked baby back ribs with home made BBQ dipping sauce recipe today! Just the thought of these ribs has already got your mouth watering so hurry on over to your smoker and get started. Step one is preparing the ribs. Trim off any hard fat or loose meat that will burn during cooking. Also remove the membrane from the bone side. Depending on where you get your racks, they might come ready for smoke – ask your meat provider, or check out this helpful guide on prepping your ribs! Next, coat the rack with olive oil, and give the ribs a decent coat of your favorite rib rub – you can go as simple as salt & pepper if you want. Fire up your smoker and set it up for cooking in the 225°F range. Place the ribs on the smoker and cook for about 5 hours. In the meantime, prepare a skillet and saute onion and garlic. Then add the bell pepper until softened. Then add the canned tomato and the rest of the sauce ingredients. Bring to a boil, then reduce heat and let it simmer for 1 hour. Serve the sauce hot on the side as a dipping sauce for the smoked baby back ribs. 125 ml? Glad I have Alexa to convert ml to oz. Most Americans use ounces, not ml. Made this last week look and taste great.